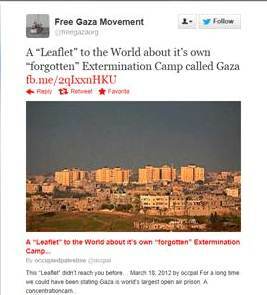 The still ongoing controversy about Free Gaza’s propagation of antisemitic material has revealed the for me somewhat surprising fact that apparently quite a few of the group’s supporters seem to believe that Free Gaza is somehow dedicated to promoting peace and coexistence between Israel and the Palestinians. That is plainly not the case. 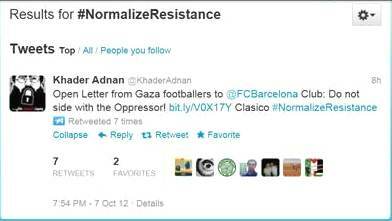 One of the most recent tweets from Free Gaza is a call to #NormalizeResistance. As I write, this hashtag seems to be primarily used to protest an invitation for Gilad Shalit by FC Barcelona, and the top tweet right now comes from an account set up under the name of Khader Adnan. We know what Islamic Jihad member Khader Adnan means by “resistance” – and as it happens, Gaza’s rulers understand “resistance” in pretty much the same way. 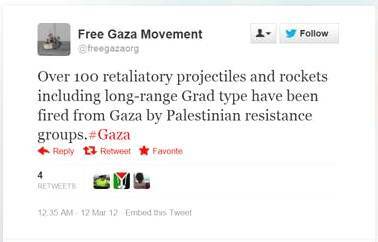 It is precisely this kind of “resistance” advocated by Islamic Jihad and Hamas that has led to the “blockade” that Free Gaza opposes: Since Israel withdrew from the Gaza Strip in 2005, more than 8,000 rockets have been fired from there by the “resistance,” terrorizing about one million Israeli civilians who live within the range of these rockets. 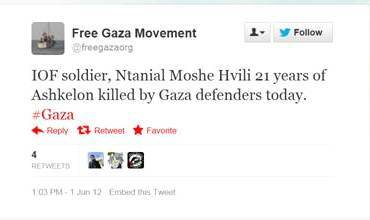 These tweets refer to an incident on June 1, 2012, when an armed infiltrator associated with Islamic Jihad from Gaza was discovered by IDF units near the Gaza border and managed to kill one soldier before being killed himself. 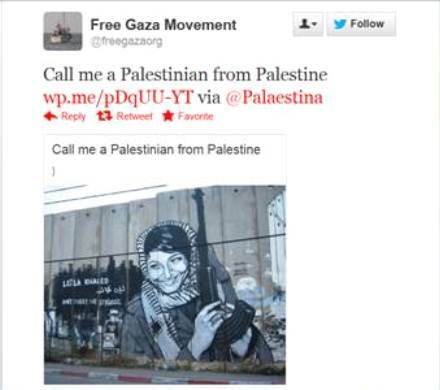 The post features a large photo of a mural depicting the widely idolized Leila Khaled, whose “fame” rests on her contribution to making airplane hijackings a successful terrorist tactic some 30 years ago. As with many so-called “pro-Palestinian” groups, this also means that Free Gaza spreads a lot of horror stories about Israel, Zionism and Jews. 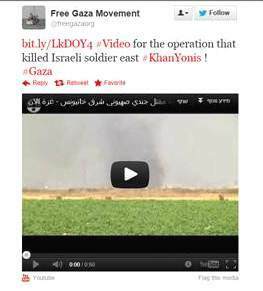 But the recent Free Gaza tweet that attracted so much attention was particularly blatant, asserting that “Zionists operated the concentration camps and helped murder millions of innocent Jews.” Anyone skeptical about this claim could click on a link to a video clip featuring a well-known antisemitic conspiracy theorist. Quite plainly, what Derfner and Hauser were doing, for whatever reasons, was defending Free Gaza’s antisemitism – and they could have easily realized that this was what they were doing had they bothered to just quickly scroll through the tweets of Free Gaza from the last few weeks. Just going back to September 1, we find the following: Israel is “committing slow motion genocide” in Gaza; Gaza is a “‘forgotten’ Extermination Camp” much worse than Auschwitz, the Warsaw Ghetto and Treblinka; the Mossad was behind the man who made a film denigrating Islam; alternatively, it was some conspiracy involving “An Israeli film-maker, 100 Jewish donors and their Salafi allies;” and on September 1, Free Gaza linked – not for the first time – to the writings of Gilad Atzmon, a well-known peddler of antisemitic rants. No surprise then that, in addition to his defense of Free Gaza’s antisemitism, Larry Derfner’s most recent writings include ruminations about his misgivings that “commemorating the Holocaust” and “Israeli bad taste…unfortunately tend to go together.” Right, let’s rush to dismiss blatant antisemitism propagated by “pro-Palestinian” activists and let’s instead focus on ridiculing efforts to cope with the difficulties of dealing with the trauma of a genocide that, still within living memory, wiped out one third of the world’s Jewish population. 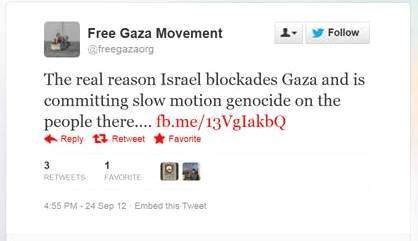 Please note that the examples of Free Gaza’s propagation of antisemitic material provided here are in addition to the ones already documented by Avi Mayer. Can you get any more nutty? Once I can think of a way to describe this conclusion politely, I’ll post an update. 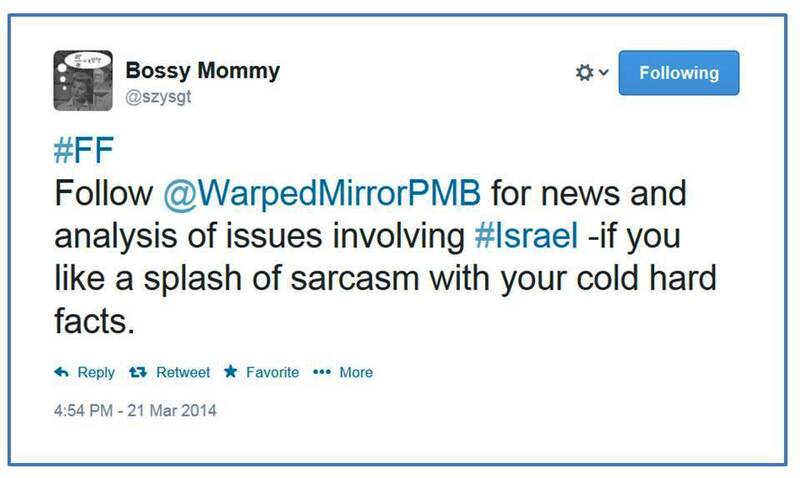 When Avi Mayer recently documented that the Free Gaza Movement (FGM) has repeatedly propagated antisemitic material, the group reacted by offering various evasions and non-apologies. 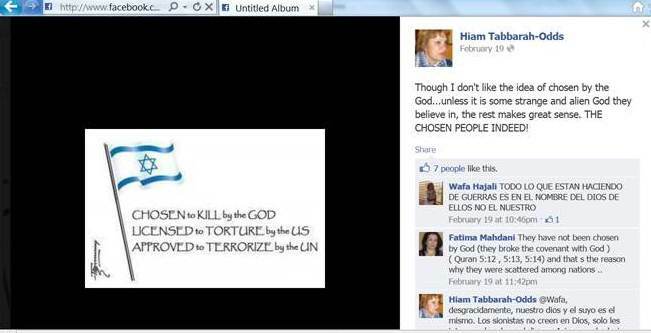 This is simply to document a phenomenon that is quite common among “pro-Palestinian” groups: they attract a lot of supporters who feel quite obviously that being “pro-Palestinian” means hating Israel and Jews. 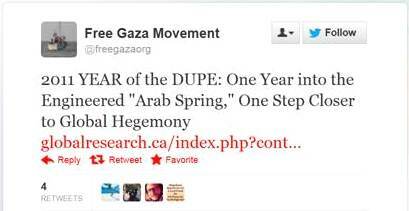 The story about the Free Gaza Movement has in the meantime been picked up by several media outlets, including Walter Russell Mead’s Via Media. “Gaza has become an extermination camp. With no place to run to the warmongering zionist entity commits annihilation not with gaschambers but managed to be more lethal with more advanced killing substances. 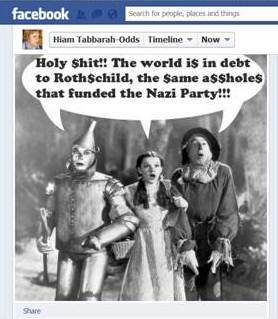 Not like Jewish people were shaved, undressed and gassed in special designed murderous showerrooms. In Gaza, no need to undress nor to shave no remains will be left after Israel is finished with you.